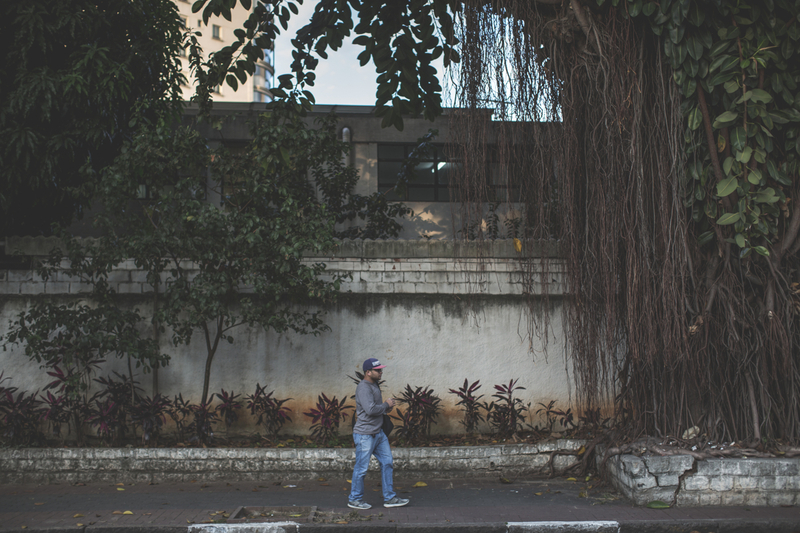 A pedestrian walks past a row of red plants at the former DOI-CODI, now 36th Civil Police Precinct. In 2007 visual artist Fernando Piola created a landscape project, called Operação Tutoia, with red plants to evoke the collective memories of the military period. Red color was used as a symbol of the violence during the dictatorship. Plant by plant he exchanged the green vegetation with red foliage.